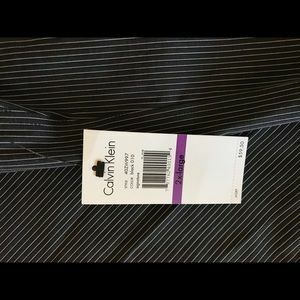 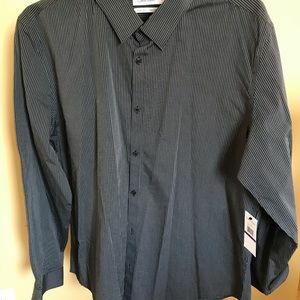 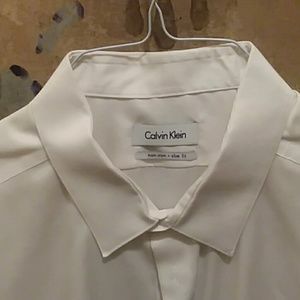 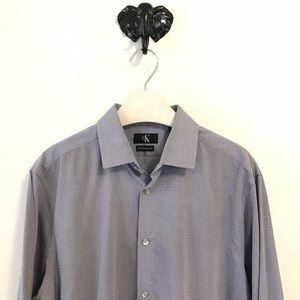 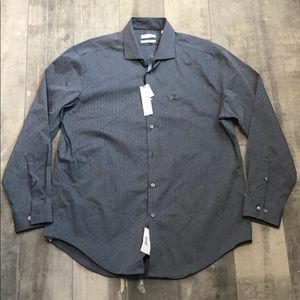 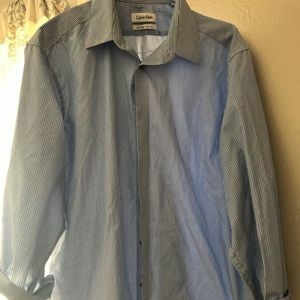 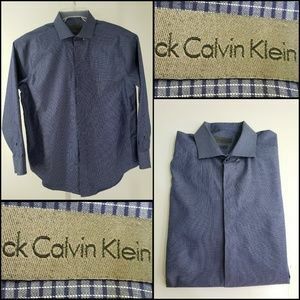 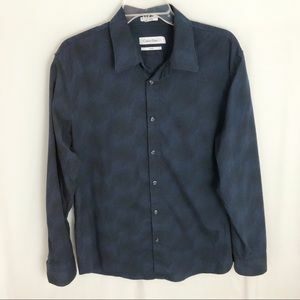 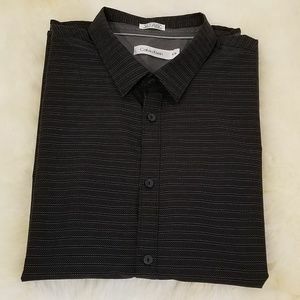 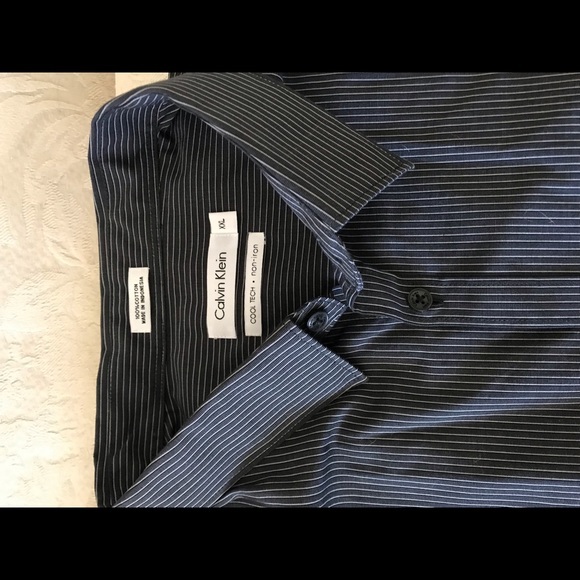 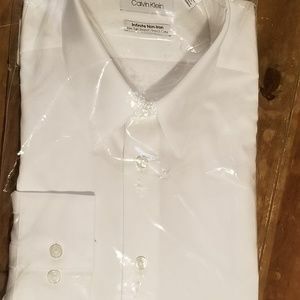 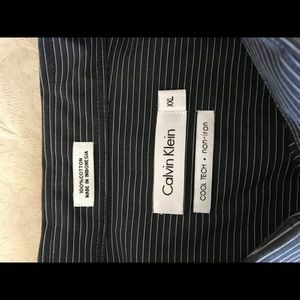 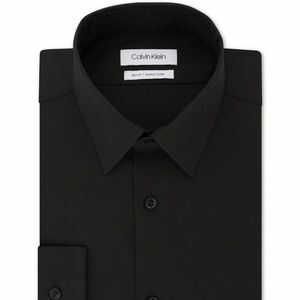 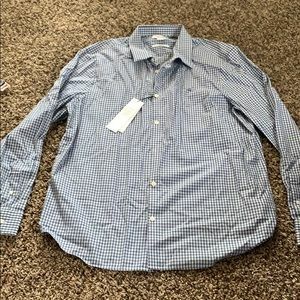 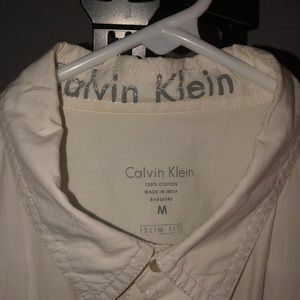 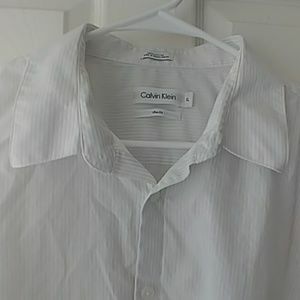 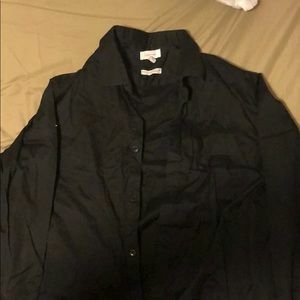 CALVIN KLEIN Details Calvin Klein offers to invigorate your wardrobe with both contemporary style and comfort through the fashionable look and performance stretch fabric of this handsome dress shirt. 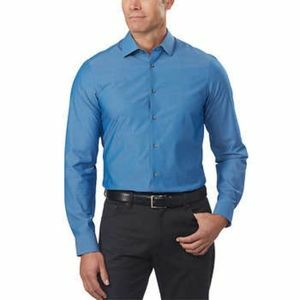 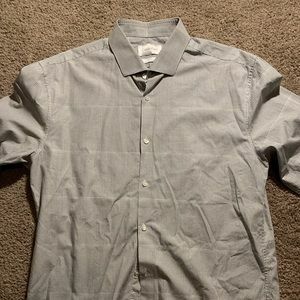 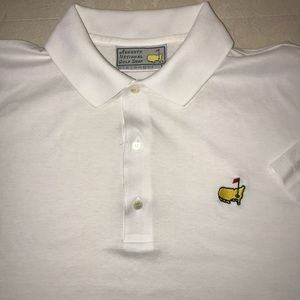 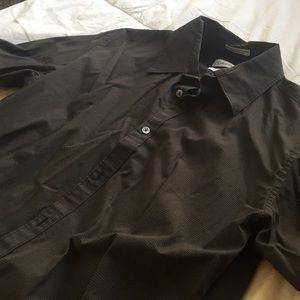 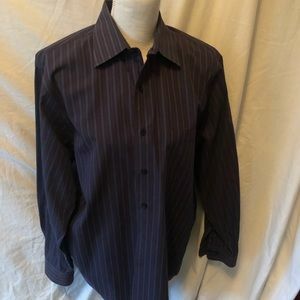 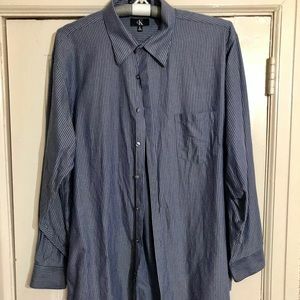 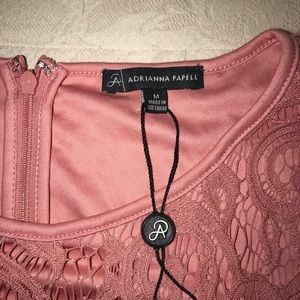 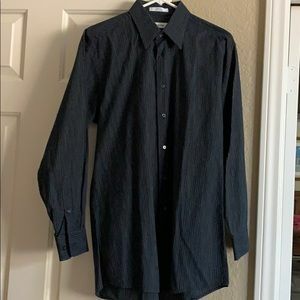 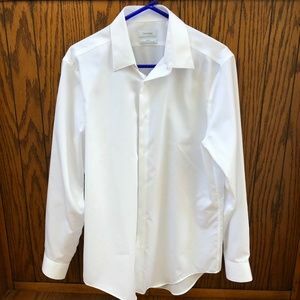 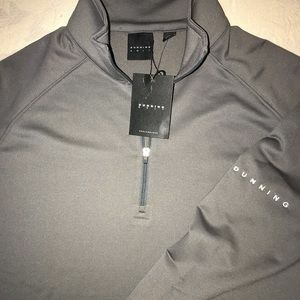 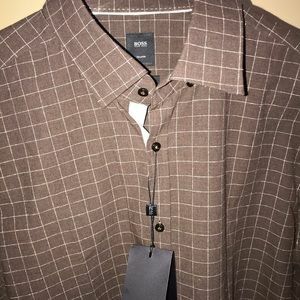 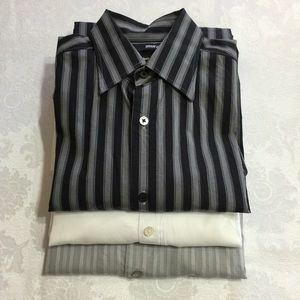 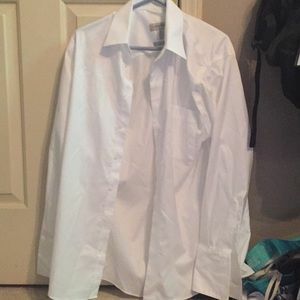 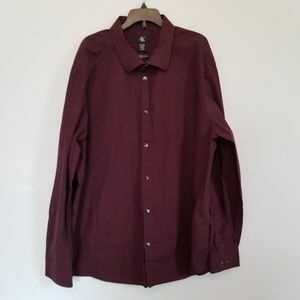 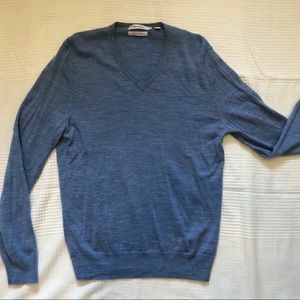 A classic fit, known as a regular fit, offers a generous cut throughout the chest for overall ease features standard armholes and fuller sleeves Non-iron Wicking fabric helps evaporate moisture; Stretch fabric for a full range of movement 100% Cotton Machine washable Thanks for Looking!!!! 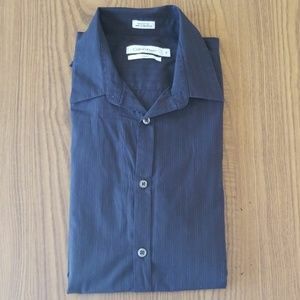 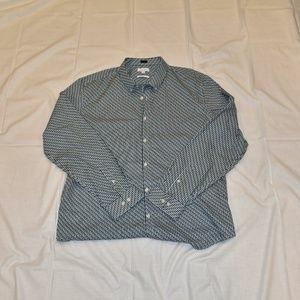 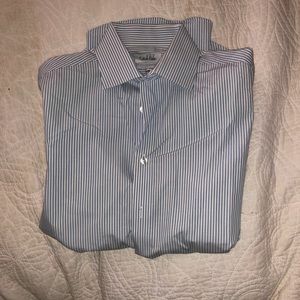 Bobby Jones Dress shirt woven in Italy XXL $165. 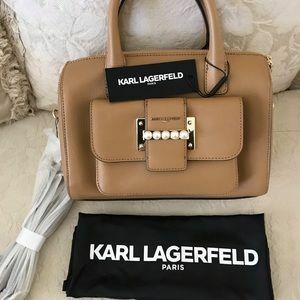 MICHAEL KORS HAMILTON zip Handbag purse NEW $378.